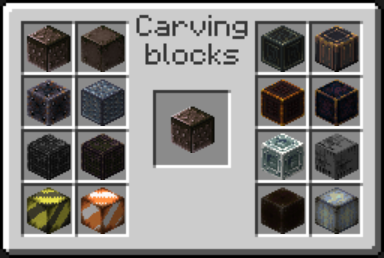 Chisel Mod 1.12.2/1.11.2 adds a huge variety of static blocks to the game, useful for building. Most of the blocks added have no special properties, instead made for purely decorational purposes. 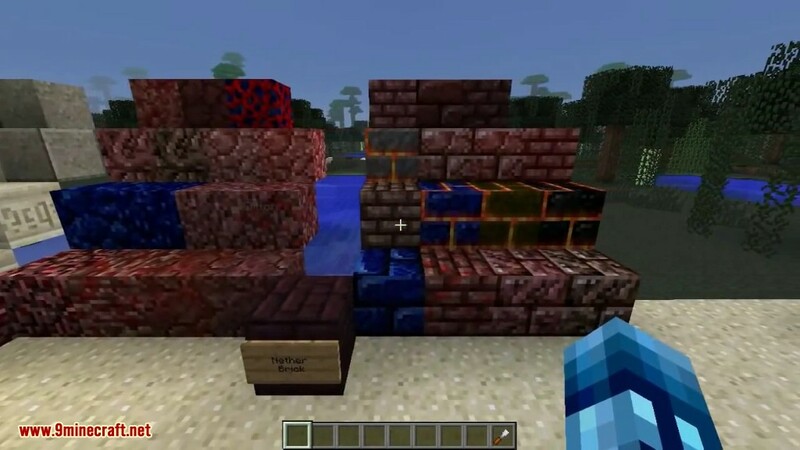 A fair amount of blocks have connected textures, and some also have randomized or animated textures such as Lava/Water Stone and Energised Voidstone. 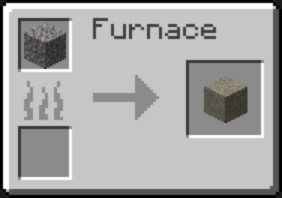 Some blocks, such as Concrete, also have other effects. 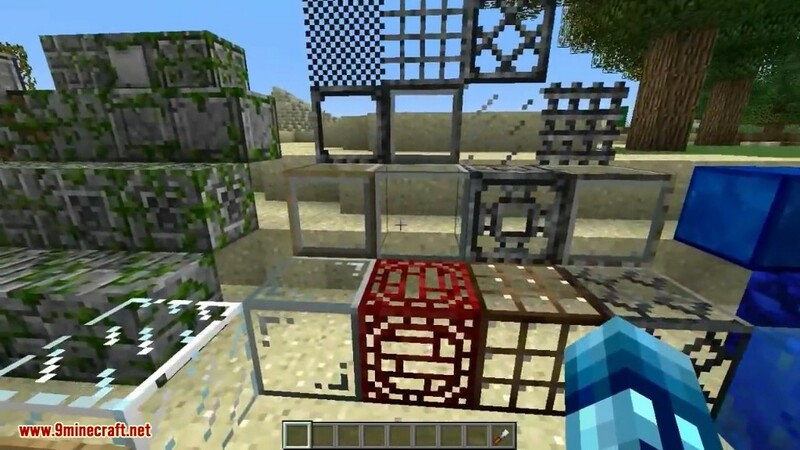 This mod will be very useful for people who like the construction aspect of Minecraft. 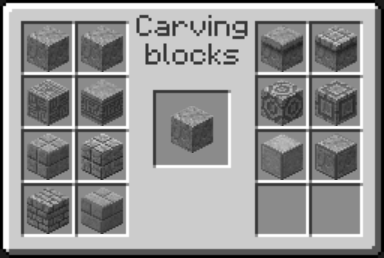 If the player right-clicks with the chisel in hand, the latter will open a GUI that will allow the player to change various blocks into up to 24 varieties. Chisel also adds two new other items: the Ball O’ Moss, and the Cloud In a Bottle. Right clicking these items will throw them, in the same way as how snowballs are thrown. On impact these blocks will do a variety of different things. 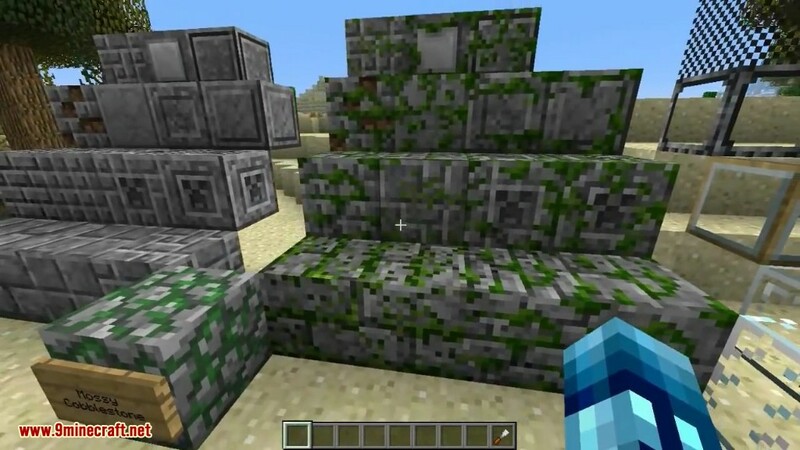 The Ball O’ Moss will change all the nearby blocks into their moss variants, for example, turning Stone Brick into Mossy Stone Brick, likewise with Cobblestone. The Cloud in the Bottle with create a large amount of clouds on impact. Smashing rock will decay the blocks it hits in a splash area of affect. 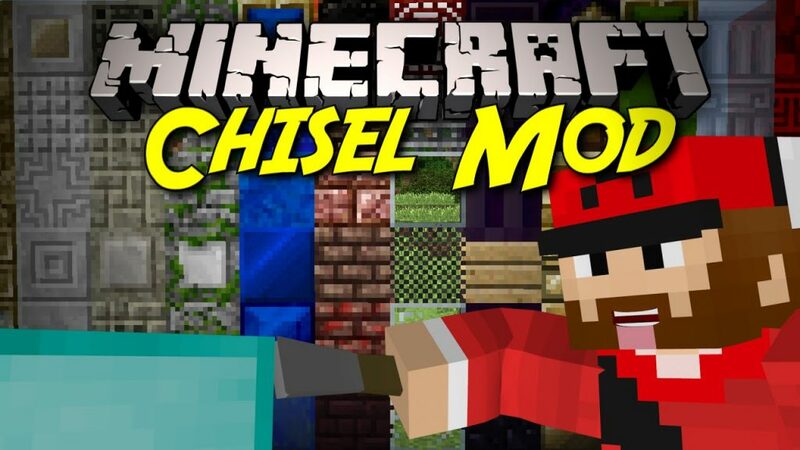 The Chisel is the heart and soul of the Chisel mod. 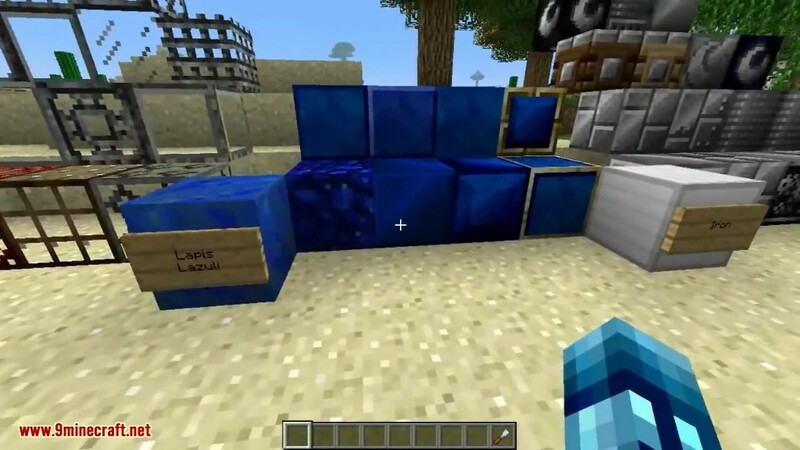 It allows the player to adjust the look of most vanilla Minecraft blocks, as well as the new blocks added in the same mod. Right-clicking with the Chisel in hand will bring up a new window. 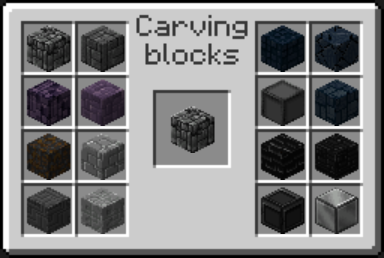 Placing a Chisel-compatible block (or stack of blocks) in the central square will display multiple other variants in the other squares. Clicking on one of these variants will immediately convert the blocks in the central square into this variant. Note that the window can be closed with a block (or stack) still in the central square, and doing so will leave the stack ‘in’ the chisel for later retrieval or conversion. This can be done infinitely, as this does not deplete the durability on the Chisel. Left-clicking on a block with the Chisel will convert it into a random variant, or, if one of said block’s variants has been left ‘in’ the chisel, will convert the clicked block into that variant. In either case, a successful conversion will deplete some of the Chisel’s durability. Occasionally the left-click conversion method will leave an empty space instead of the block. 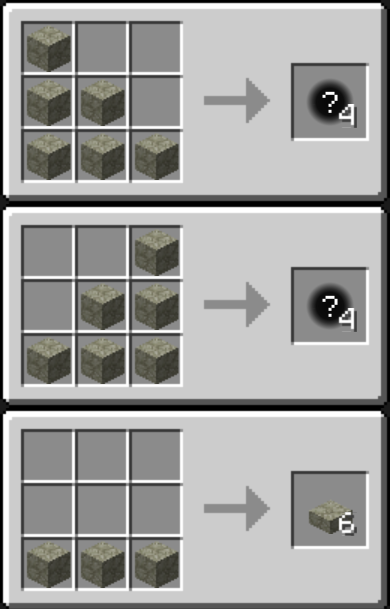 If this happens, right-clicking on any other block face that the missing block should be touching (i.e. the top face of the block below the missing one, the bottom face of the block above it, etc.) should bring it back. Empty hands or any tool/block can be used for this, though using empty hands, the Chisel or any tool without a right-click function would be advised. 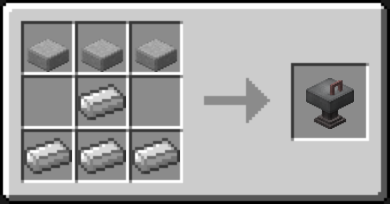 Limestone is a new decorative block added in the Chisel mod, and is one of two blocks (the other being Marble) that can be found naturally underground. 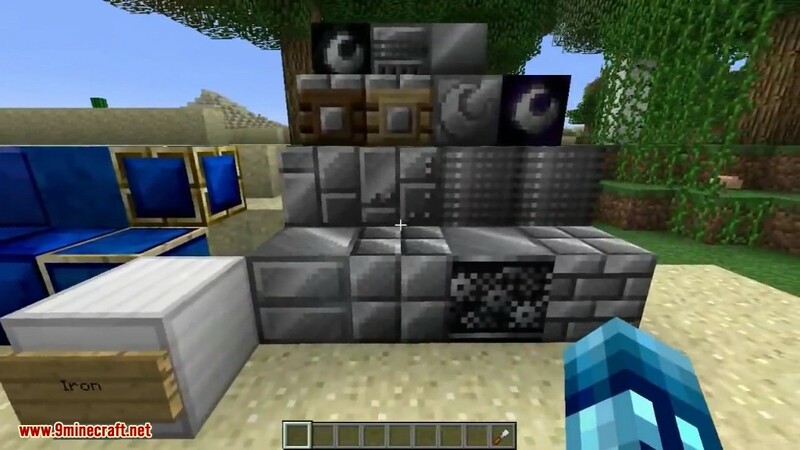 In the event that a modpack includes more than one version of Limestone (for example, the Yogscast Complete Pack includes both Chisel and the Emasher Resource mod, which has its’ own version of Limestone), the Chisel may be able to convert between them (i.e. 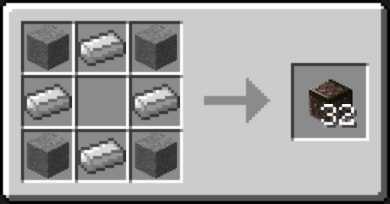 change Chisel Limestone into Emashers Limestone, and vice-versa). 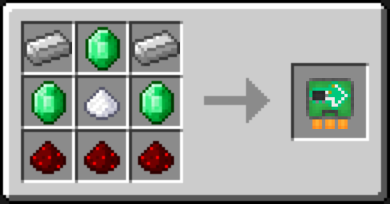 In modpacks where multiple different mods add their own version of Marble (For example, Yogscast Complete Pack has both Chisel and RedPower 2, and both these mods have their own Marble variant), it may be possible to convert between the different versions using the Chisel. 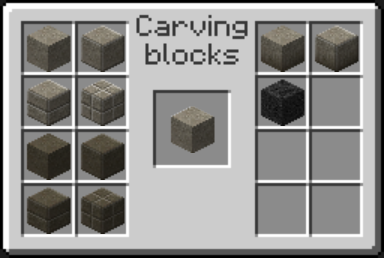 This Concrete is a new decorative block added in the Chisel mod. It has alternate aesthetic styles, which can be chosen using the Chisel from that mod. 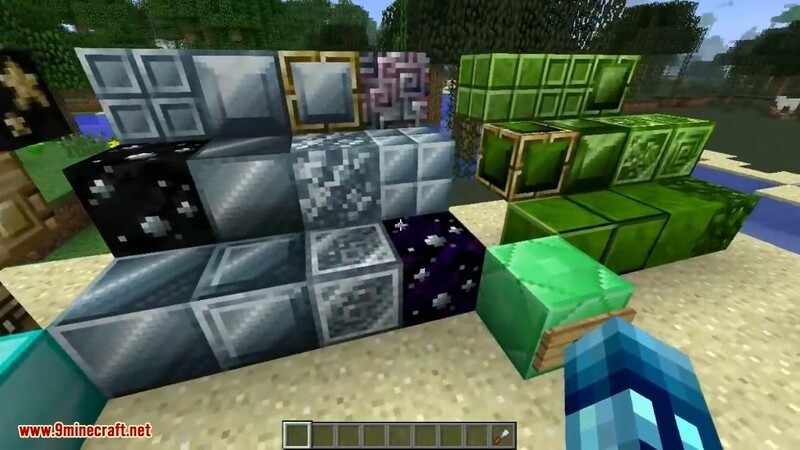 It increases the speed of players walking across it, however it also lowers the player a small amount, which can prove problematic when using it as flooring. 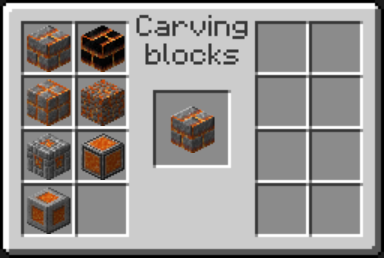 Due to its’ recipe, it is the slowest of all the Chisel blocks to manufacture in large amounts. Other mods have devices that can mitigate this, such as a Mekanism Basic, Advanced or Elite Factory with Energized Smelter capabilities. 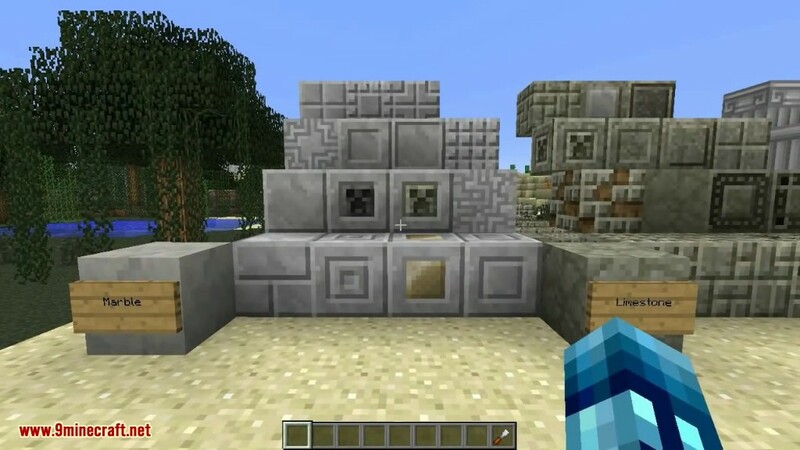 Any variation of a Concrete block provides the same output as shown above when placed into Chisel tool’s GUI, which means the player can get the original block back or change the pattern to another one later. 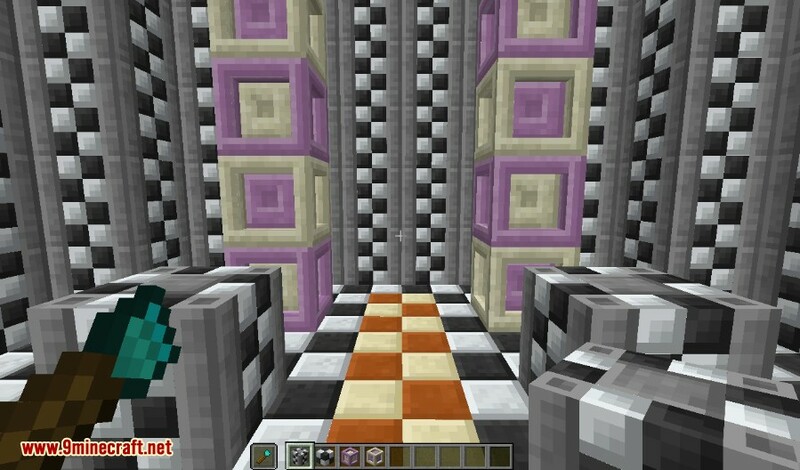 The Factory Block is a new decorative block added in the Chisel mod. 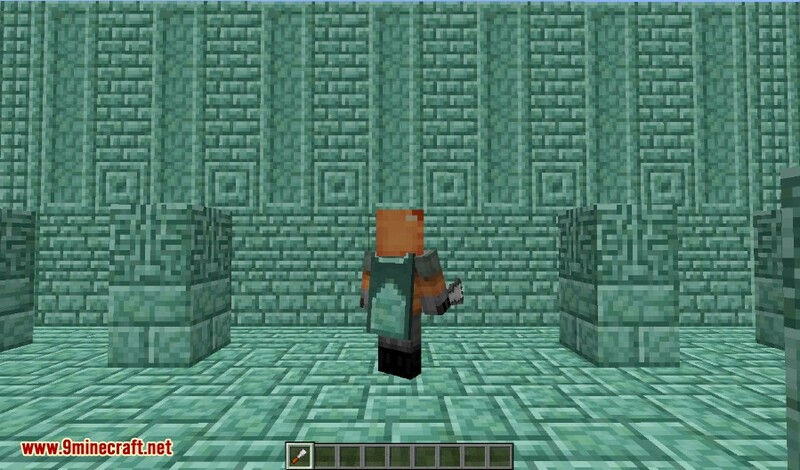 It has many aesthetic styles to it, which can be chosen using the Chisel tool from the same mod. It has a metallic sound when mined and walked on. Any variation of a Factory Block provides the same output as shown above when placed into Chisel tool’s GUI, which means the player can get the original block back or change the pattern to another one later. 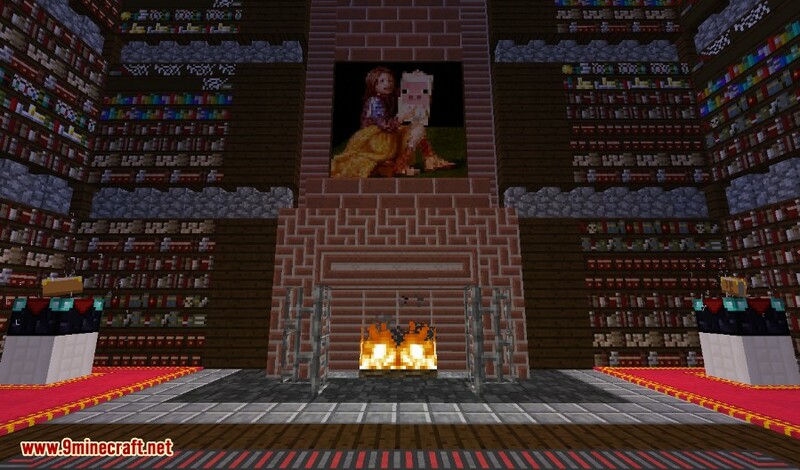 Fantasy Block is a new decorative block added in the Chisel mod. It has many aesthetic variants which can be selected with the Chisel tool from the same mod. 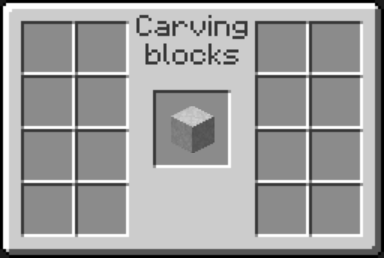 Any variation of a Fantasy Block provided the above output when placed into Chisel tool’s GUI, which means the player can get the original block back or change the pattern to another one later. Futuristic Armour Plating Block is a new decorative block added in the Chisel mod. It has many aesthetic variants which can be selected with the Chisel tool from the same mod. Any variation of a Futuristic Armor Plating Block provides the same output as shown above when placed into Chisel tool’s GUI, which means the player can get the original block back or change the pattern to another one later. Holystone is a new decorative block added in the Chisel mod. 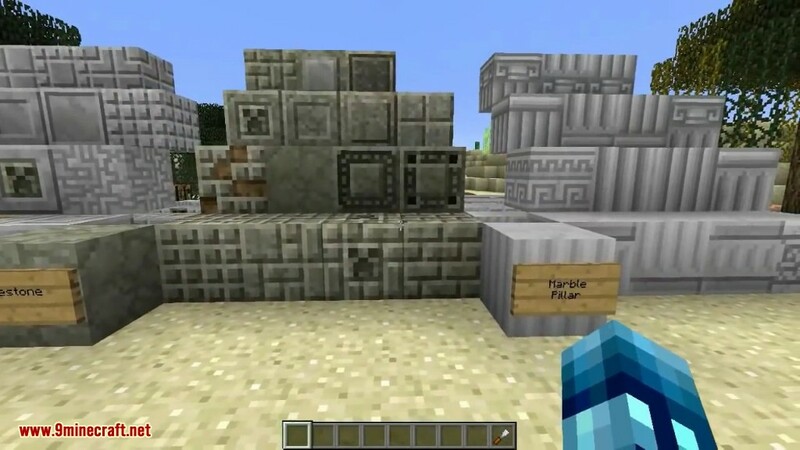 It has many aesthetic variants which can be selected with the Chisel tool from the same mod. 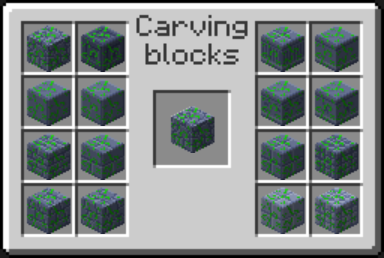 Any variation of a Holystone provides the same output as shown above when placed into Chisel tool’s GUI, which means the player can get the original block back or change the pattern to another one later. 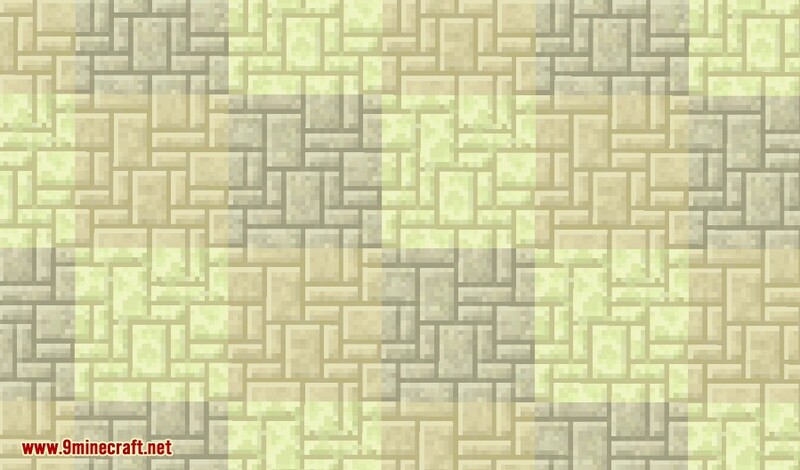 Lavastone is a new decorative block added in the Chisel mod. 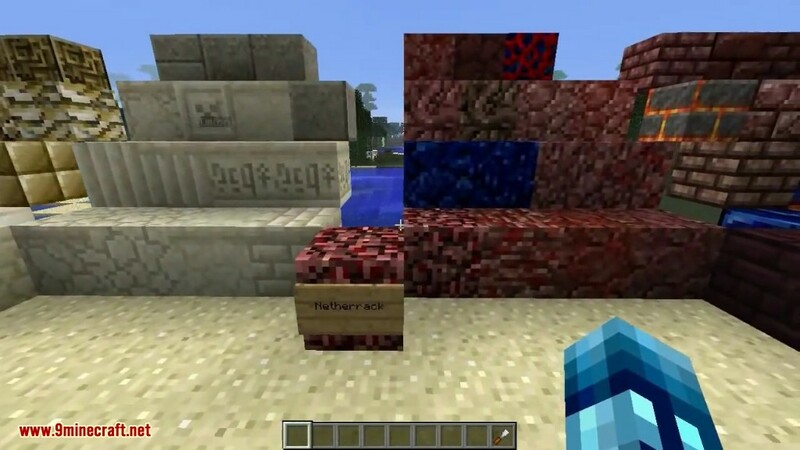 It has many aesthetic variants which can be selected with the Chisel tool from the same mod. Any variation of a Lavastone provides the same output as shown above when placed into Chisel tool’s GUI, which means the player can get the original block back or change the pattern to another one later. Mossy Temple Block is a decorative block added in the Chisel mod. It has many aesthetic variants which can be selected with the Chisel tool from the same mod. 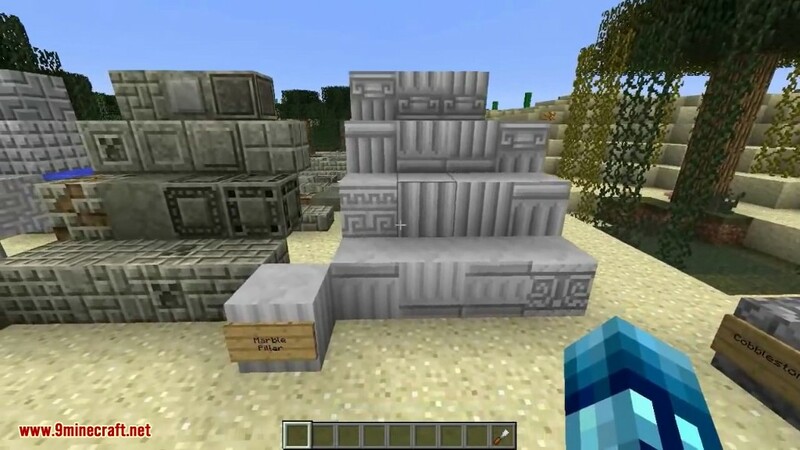 Any variation of a Mossy Temple Block provides the same output as shown above when placed into Chisel tool’s GUI, which means the player can get the original block back or change the pattern to another one later. 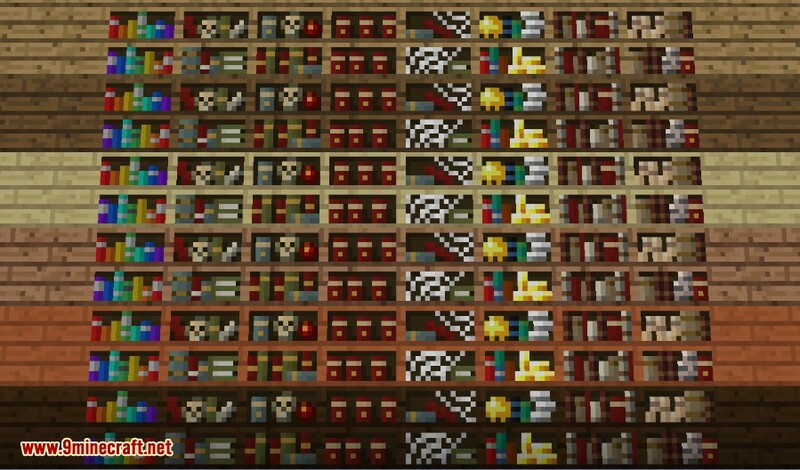 Temple Block is a new decorative block added in the Chisel mod. It has many aesthetic variants which can be selected with the Chisel tool from the same mod. 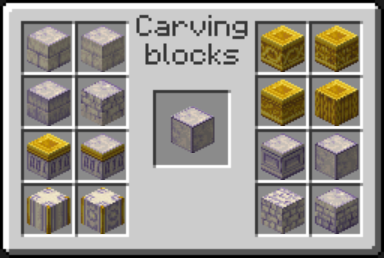 Any variation of a Temple Block provides the same output as shown above when placed into Chisel tool’s GUI, which means the player can get the original block back or change the pattern to another one later. 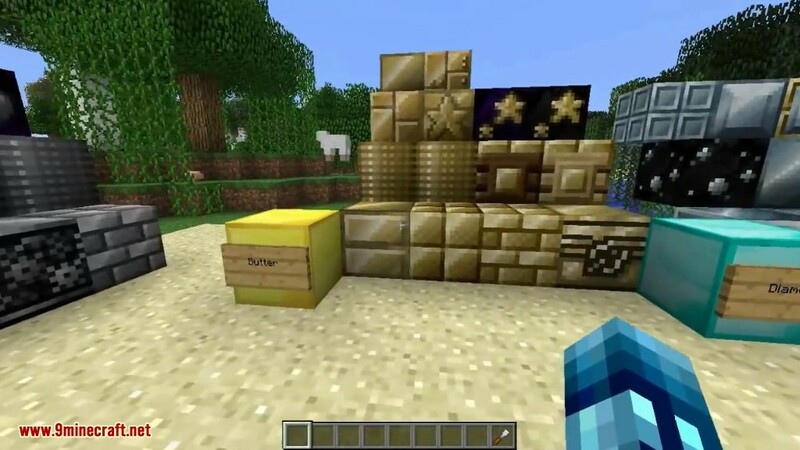 The Speed Upgrade is a mod added by the Chisel mod. When put into the Auto Chisel, it drastically increases the output of automatic Chiseling. 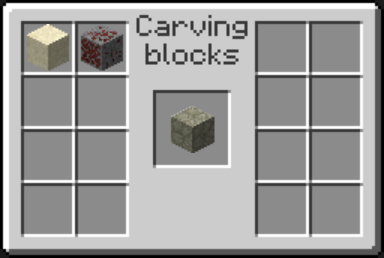 When used in conjunction with the Stack Upgrade, the Auto Chisel becomes extremely quick in chiseling blocks. 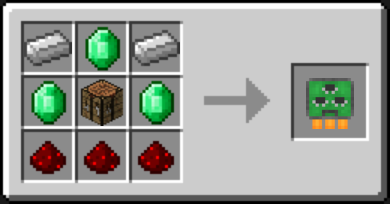 The Automation Upgrade is a mod added by the Chisel mod. 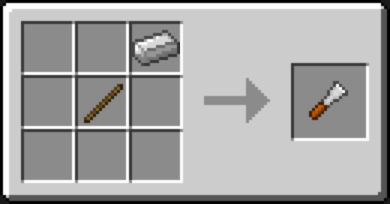 When put into the Auto Chisel, it allows items to push in and out of the machine. 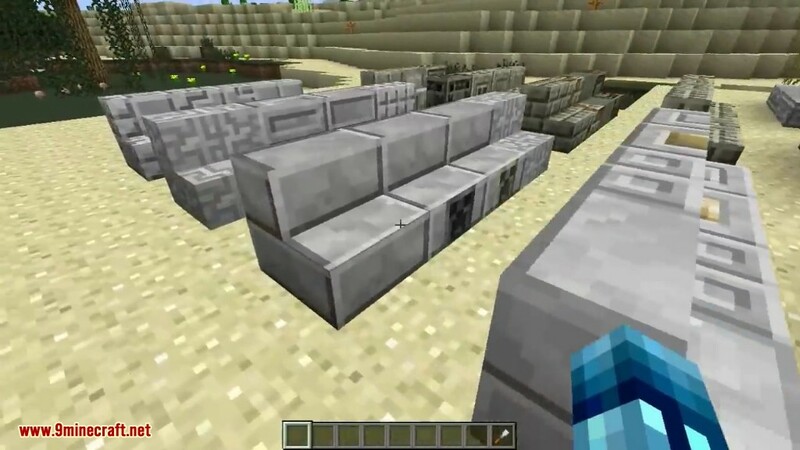 It allows other mods to interact with the Auto Chisel thus allowing the usage of piping inventories of blocks into and out of the Auto Chisel. 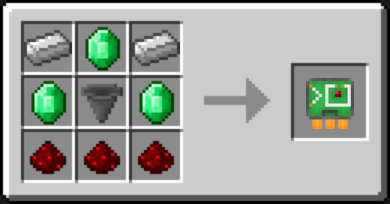 The Stack Upgrade is a mod added by the Chisel mod. When put into the Auto Chisel, it automatically chisels an entire stack of blocks at once. 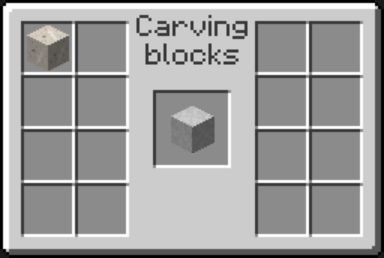 When used in conjunction with the Speed Upgrade, the Auto Chisel becomes extremely quick in chiseling blocks. 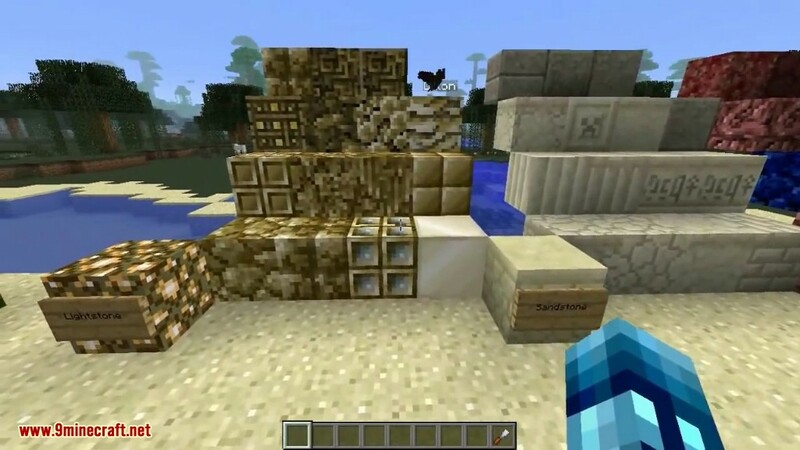 The Reversion Upgrade is a mod added by the Chisel mod. 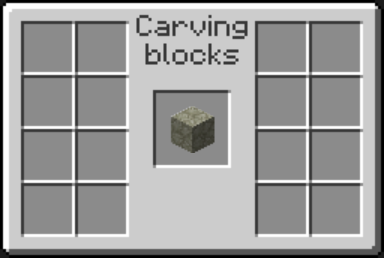 When put into the Auto Chisel, it converts any Chiseled block back into its original form. 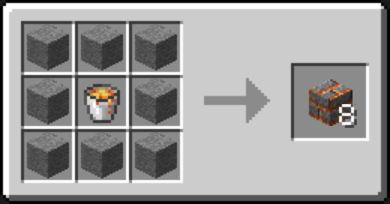 It seems to have no recipe and thus is only obtainable through illegitimate means like Creative mode.